I. M. Wright's "Hard Code"
There is absolutely no excuse to not read Hard Code, the book version of I.M. Wright's (49) columns. Get it. Read it. Now! 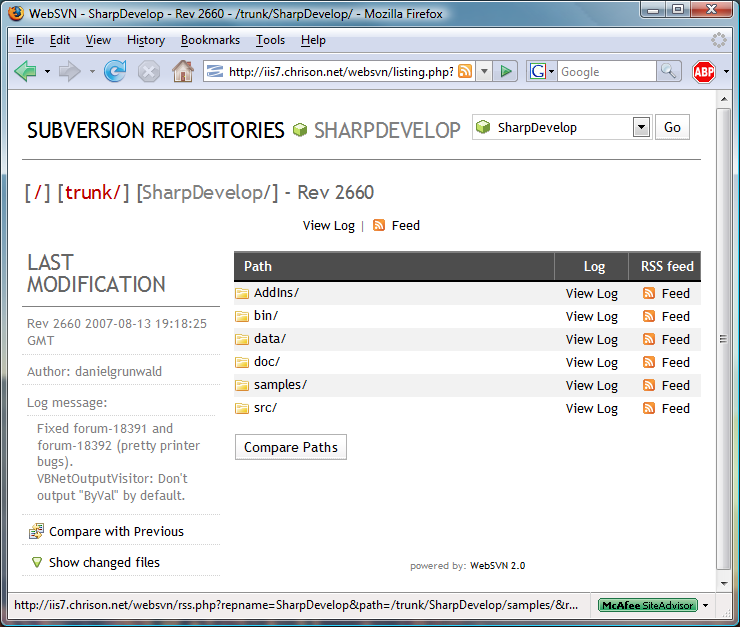 If you are interested in IronPython, you should check out Matt's latest SharpDevelop addin: IronPython Integration In SharpDevelop 2.2. His blog post details the status of code completion, Windows Forms designer support, plus: converting code from C# or VB.NET to IronPython. Please note that this is a work in progress, and that the official release of this addin will be for SharpDevelop 3 and IronPython 2.0.